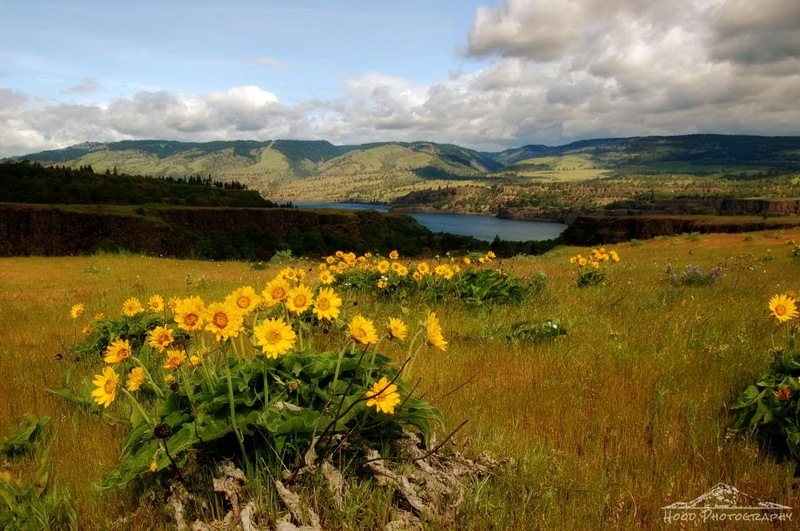 This is the amazing view from the Rowena Plateau, located in the Tom McCall Nature Preserve. It is described as the eastern alternative to our western gorge attraction, Crown Point, in the Columbia River Gorge. This time of year the preserve is dotted with lupine and balsam root, among many other wildflowers. I visited this gorgeous scape this past weekend and will share a few more captures over the next few days. Good to see the balsamroot is blooming full-force. I was there about a month ago and it was just getting started. There's a post on my blog about my recent visit, if you're interested. Never thought of dandelions as weeds, myself. WOW! Your photo is great. I just LOVE those yellow flowers. Great landscape photo. Beautiful place, beautifully photographed. What a pretty landscape. Beautiful scene and photo. Beautiful photo I love the flowers in the foreground. It adds such a nice sense of depth and detail. All the right perfect pieces to make this a phenomenal plateau. Such a lovely landscape for P today, I could stare at that view forever! What a breathtaking site! Thank you for sharing your Photo!